Not all April Fools’ Day jokes are created equal, some are much more diabolical than others. It’s still early on April 1st this year, but Warner Bros. already has a contender for the biggest “get your hopes up” teases of day. In advertising for Shazam!, the new movie hitting theaters this weekend, WB has disguised a teaser as the first trailer for Aquaman 2, the highly-anticipated sequel to last year’s surprise hit. 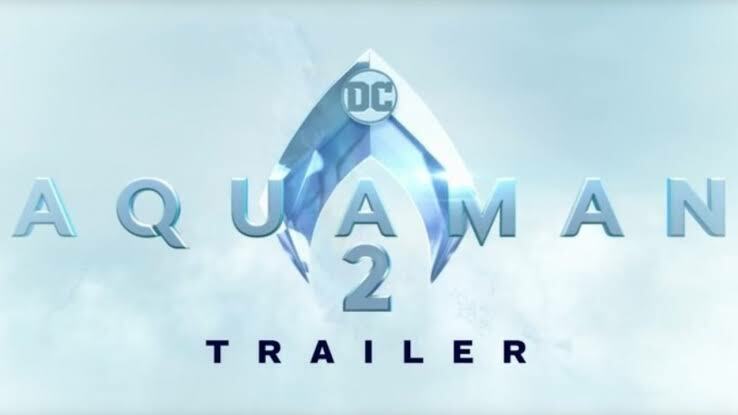 New video released by Warner Bros.
Warner Bros. and DC shared the new video on Monday morning, and it begins with the logo for James Wan’s Aquaman 2, this time with the number two below it. Everything feels especially real when the words “official trailer” pop onto the screen. However, it’s only a matter of time before Zachary Levi’s Shazam steals the spotlight. After the logo disappears, the message on the screen reads “The king shall reign,” in reference to Arthur Curry’s newly appointed title as the ruler of Atlantis. Suddenly, a red streak flashes across the screen and the word “king” is crossed out and replaced with the word “kid.” Shazam, who is a teenager with the ability to transform into a fully-grown superhero with just one word, quickly posts up on the side of the screen, looking at his logo (which has been plastered on top of the Aquaman message). While this teaser may have gotten our hopes up about an actual Aquaman 2 trailer, let’s remember that the film was just announced in the past couple of months, and that it isn’t slated to hit theaters for another three years. It was revealed in February that the Aquaman 2 is set to release on December 16, 2022 release date, which seems like quite a long time to wait for the follow-up to the most successful DC movie in box office history. During an interview with The Hollywood Reporter early last month, producer Peter Safran said that the big delay for Aquaman 2 was simply an effort to make sure they got it right. “[Hamada], myself and James Wan always shared the same philosophy, which is: you want to do it right,” Safran said. “You don’t want to do it fast. You just want to do it right”. There won’t be any footage of Aquaman 2 for some time, but that’s okay, because Shazam! is hitting theaters in just a couple of days, and that’s more than enough reason to celebrate.